Showing 42 articles from January 13, 2016. LOUISBURG -- Franklin County school officials came face-to-face with the 800-pound "gorilla" that has been stalking them for years, a declining fund balance (savings) that has been used to balance budgets over the past several years. The warnings actually began last fall when auditors noted the dwindling fund balances and warned the Board of Education that changes would be necessary sooner rather than later. LOUISBURG -- The Franklin County Board of Health fired its health director Tuesday night. Dr. Chris Szwagiel had been with the department since July 2009, but was unanimously terminated following a 6-0 vote that took place following a closed session. "It is a personnel issue," said Board Chair Eddie White. Those close to the matter said there are no allegations of criminal or fiscal wrongdoing. 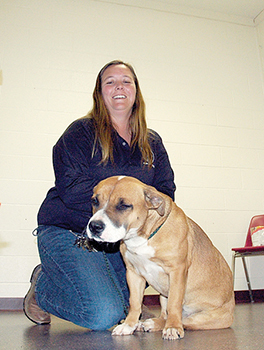 LOUISBURG -- A group that prides itself on leaving lasting imprints on a community is inviting volunteers to come out and help with a makeover project at the county's animal shelter. The Legacy Center plans to build a dog park and walking trail at the shelter, located just down from the sheriff's office on T. Kemp Road. BUNN -- Town commissioners approved plans to install a four-way stop at a major intersection that Lake Royale residents hope will make commutes a bit more bearable. A group of lake residents have maintained a dialogue with town leaders since the spring, discussing ways to relieve traffic congestion at the intersection of N.C. 98 and Main Street (N.C. 39). Franklin County residents will have a handful of opportunities to gather and celebrate the life and legacy of Dr. Martin Luther King Jr.
On Saturday, The Franklinton MLK Jr. Committee will host a celebration that begins at 11 a.m. with a ceremonial march from the roundabout at Franklinton Elementary School to First Baptist Church. The guest speaker for the event is scheduled to be Superior Court Judge Michael Morgan. LOUISBURG -- Nearly 60 people converged on the Louisburg College campus last Thursday night to get a peek at the county's past as it is represented in architecture. Dr. Jeroen Van den Hurk presented Phase I of the survey of the county's historic architecture, which he conducted last year -- and which begins to document the rich architectural history of Franklin County. It's no secret that many Americans are skeptical of their government -- government at all levels -- and are reluctant to believe much of what government officials say or virtually anything about their intentions. There are lots of reasons for that -- many valid, some pure fiction -- but little things often help reinforce the perception that government isn't being straight with us. News flash: It rains in North Carolina. Sometimes it rains a lot! Those observations are directed at Franklin County leadership which seems to believe that the excuse "it rained" is enough to explain away the county's repeated sewage spills. It's not. 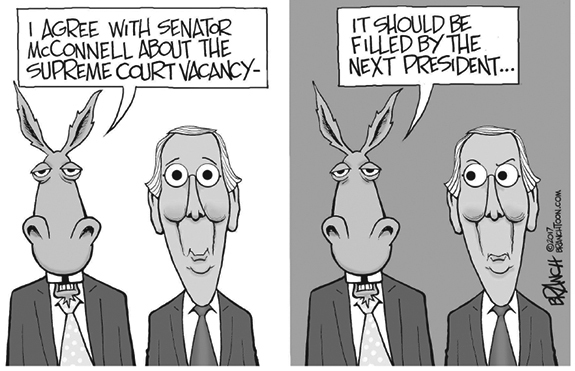 Not by a long shot. If you read last week's edition, you learned that Franklin County's fragile sewage treatment system suffered two more failures. 1. I have never played the lottery. Even when I lived in Virginia, I never played the lottery. I always assumed spending money solely for the chance of winning was strange. I'd rather have a tangible good for my currency. I always viewed buying a lottery ticket the same as pulling out a $20 bill ... and promptly setting it on fire. If the information is wrong, final decisions will be, too! GIGO is an old acronym mainly used in computer science and mathematics. Its literal translation is garbage in, garbage out. What it means is that if the information/data is incorrect your conclusion is assured to also be incorrect. I find remembering this acronym useful when trying to understand some of the things that come out of the right wing. Obviously their views and conclusions are nonsensical because they are basing them on less than accurate information. Where does the "buck" stop when it comes to holding elected officials accountable for what they do, and, or what they say they will do? It stops at the ballot box. Four years ago there was an election. Economically, things were not good for Franklin County. The train, if you will, was just sitting at the station. At that time, and since, many have tried to move the train down the tracks by asking the question of what is the strategic plan for economic development in Franklin County. The December 31 meeting of the Franklin County Board of Elections was conducted in record speed considering one of the most important issues of the year was on the agenda ... Implementation of One Stop Voting for 2016. The new board member was given no time to review the plan with a vote being called within two minutes of handing said plan to him. We are actively engaged with local political leaders and prominent concerned citizens in an effort to re-open the hospital in Franklin County. First and foremost, the hospital is of vital importance in Franklin County as a means of access to high quality medical care. The presence of a hospital in Franklin County would save both lives and money, compared to sending patients the extra 30 miles to Wake County. ZEBULON - Bobby Milton Ray, 78, of the Pilot community, went home to be with the LORD Tuesday morning. He was a son of the late Clifton Joseph and Frances Medlin Ray. LOUISBURG - Funeral services for Gladys Searles Massenburg, 94, who died Sunday, Jan. 10, 2016, will be held Saturday, Jan. 16, at 1 p.m. at Jones Chapel Baptist Church in Louisburg. Burial will follow in the church cemetery. LOUISBURG - Hilda Mae Smith, 85, died Tuesday morning, Jan. 12, 2016 at Wake Med. A funeral service will be held 2 p.m. Thursday, Jan. 14, in the chapel of Strickland Funeral Home. Burial will follow in the Cedar Rock First Baptist Church cemetery. The family will receive friends one hour prior to the service. FRANKLINTON - Funeral services for Isaac Lee "Ike" Cooper, 80, who died Monday, Jan. 11, 2016, will be held Saturday, Jan. 16, at 12 noon at Mitchiner's Grove Baptist Church, with the Rev. Melvin Jackson officiating. Burial will follow in the Marks Chapel Church cemetery. NASHVILLE - Funeral services for Patricia Ann Lynch, 59, who died Tuesday, Jan. 5, 2016, will be held on Sunday, Jan. 17, at 2 p.m. at Hickory Grove Baptist Church in Castalia, with the Rev. Bobby Thomas officiating. FIND A WAY OUT. 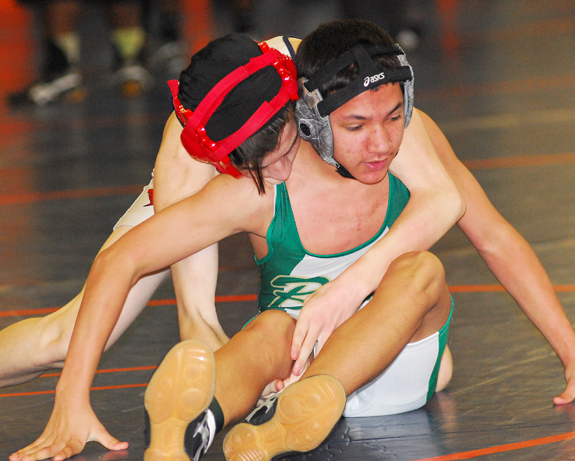 Bunn's Octavio Acuna tries to escape a hold during last Saturday's action at the annual Louisburg Duals at the LHS Gymnasium. LOUISBURG -- Bunn picked the right time for one of its top performances of the 2015-16 wrestling season. The Wildcats, under the direction of first-year coach Tim Grant, went undefeated at 5-0 to claim the championship at last Saturday's Louisburg Duals Mat Tournament at the LHS Gymnasium. Thanks to the heroics, Bunn was able to take home the first-place plaque at the annual event, which featured seven squads competing under a dual-team format. AGEE ON TARGET. 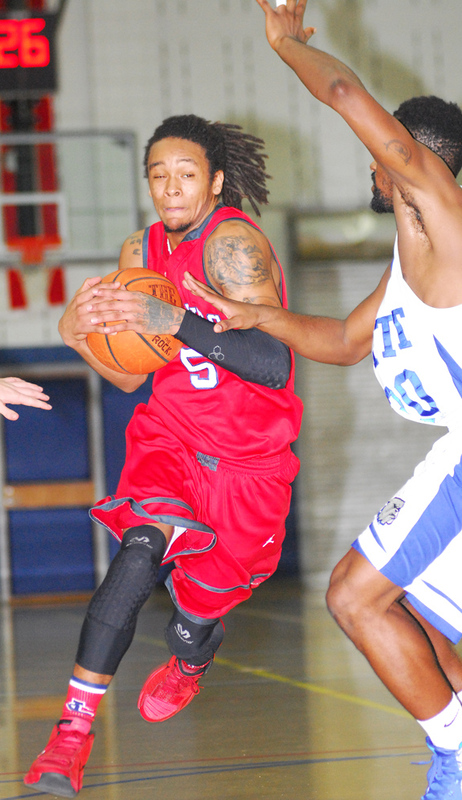 Louisburg's Vinny Agee takes the baseline during last Thursday's decision at Pitt Community College. 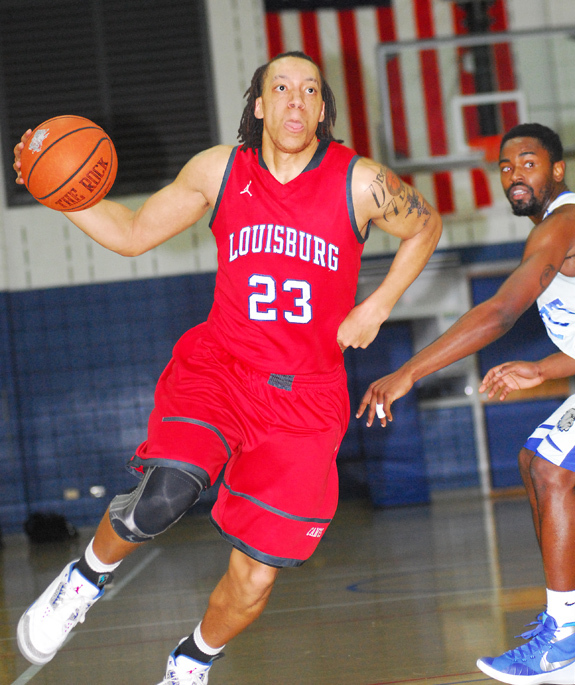 WINTERVILLE -- For the Louisburg College Hurricanes to escape January in successful fashion, they will certainly have to be the Region X Kings of the Road. 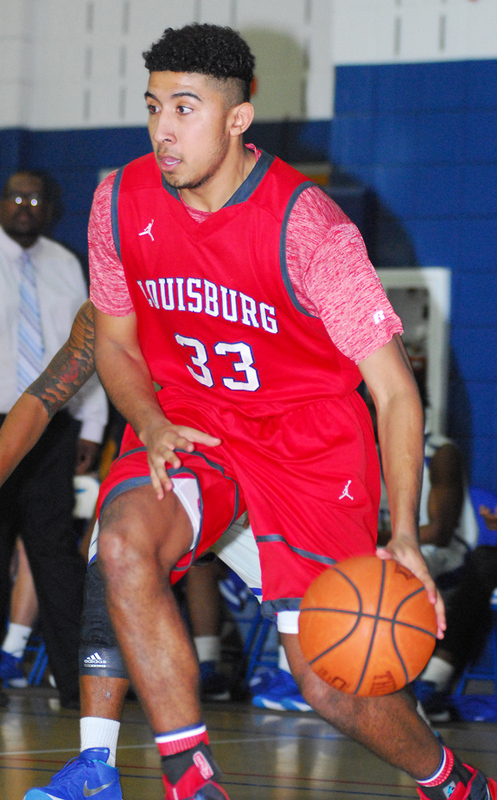 Louisburg's brutal schedule this month is loaded with tough league road matchups -- a stretch that began last Thursday with a showdown at Pitt Community College. ON THE MAT. 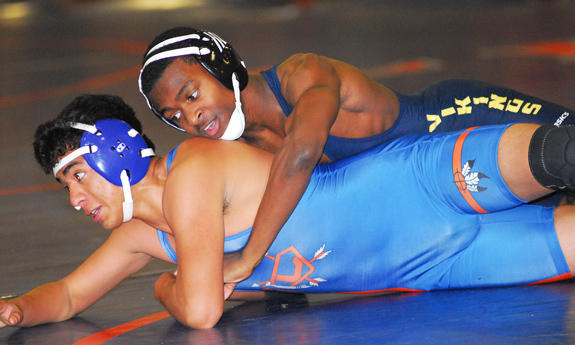 Louisburg's Reynaldo Carachure (bottom) tries to escape a hold as part of a match last Saturday against the Northern Vance Vikings. LOUISBURG -- Unable to fill out an entire lineup, Louisburg High School will rely on its 'Fab Five' of returnees as the Warriors head toward the most crucial portion of the 2015-16 wrestling schedule. LHS veteran mat coach Courtney Tart has five returning wrestlers from last season to go with two newcomers. While Louisburg won't be much of a factor in dual meets due to forfeits, the Warriors should continue to be successful in the 'matches wrestled' portion of the scorebook. BLOCKED PATH. 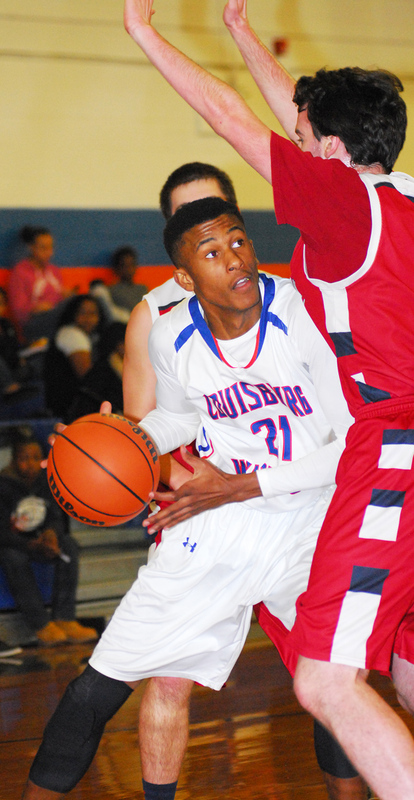 Louisburg\'s Tony Vines (with ball) tries to find an opening last Wednesday night against Franklin Academy. LOUISBURG -- Louisburg has made a huge move up the Tar-Roanoke Athletic Conference boys basketball standings, but Coach Michael Sheldon thinks his club is capable of even bigger things this season. "We have the potential to be good, but inconsistency limits our success,'' Sheldon said. 'Sometimes, it's not even statistical measures that equal losses, but things such as hustle, heart and a desire to outwork the other team. ROANOKE RAPIDS -- Bunn maintained its hold on first place in the Northern Carolina Conference girls basketball standings with a victory last Friday night at Roanoke Rapids. The Ladycats, coached by Matt Keith, put together a solid first quarter and never looked back en route to securing a 71-45 decision at the RRHS Gymnasium. Bunn, now 9-3 overall and 5-0 in the NCC, led 19-9 after the initial stanza of action. HENDERSON -- The Kerr-Vance Academy varsity basketball teams split their games against Crossroads Christian last Friday evening. 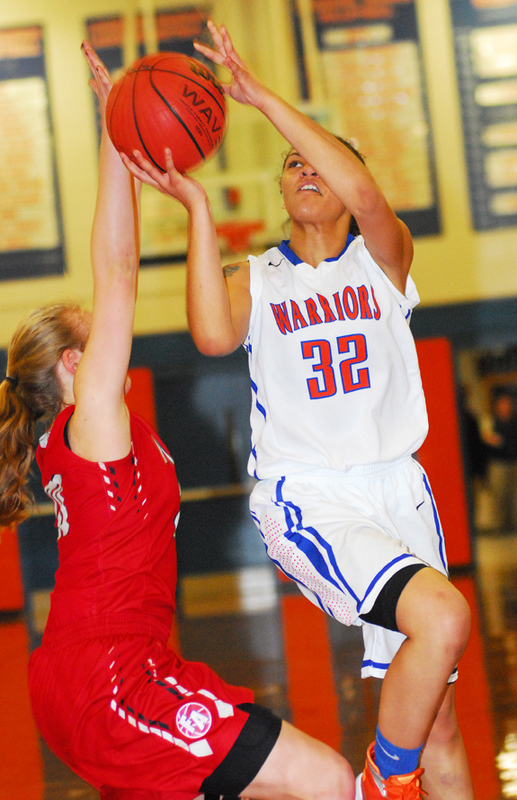 The Spartan girls defeated Crossroads 54-37 and led from start to finish. Leading scorers for the Lady Spartans were Macy Lee Johnson with 16 points and Kennedy Adcock with 14. Emma Pelfrey added nine and Bonnie Evans chipped in seven. LOUISBURG -- Blake Herring's first season as the Louisburg College head baseball coach will begin Feb. 17 on the road against Wake Tech. 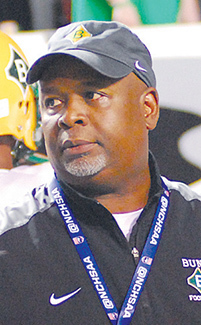 Herring, a former assistant at LC, took over last summer following the resignation of Keith Shumate. Herring had been serving as an assistant at Carson-Newman College in Tennessee. LC's first home date will be a Feb. 21 doubleheader against Patrick Henry CC at Frazier Field. SEDA SOARS FOR TWO. Louisburg's Tatyana Seda drives for a basket during last Wednesday night's home matchup against non-league foe Franklin Academy. BUNN -- Even in a rebuilding season, the Louisburg Lady Warriors are making progress in the Tar-Roanoke Athletic Conference basketball standings. Louisburg, under first-year skipper Chris Baker, is 2-2 in the TRAC -- the same league the Lady Warriors won the championship in as part of their 2014-15 campaign. But LHS graduated several key seniors from that club, and Baker has been forced to reload with a young group. 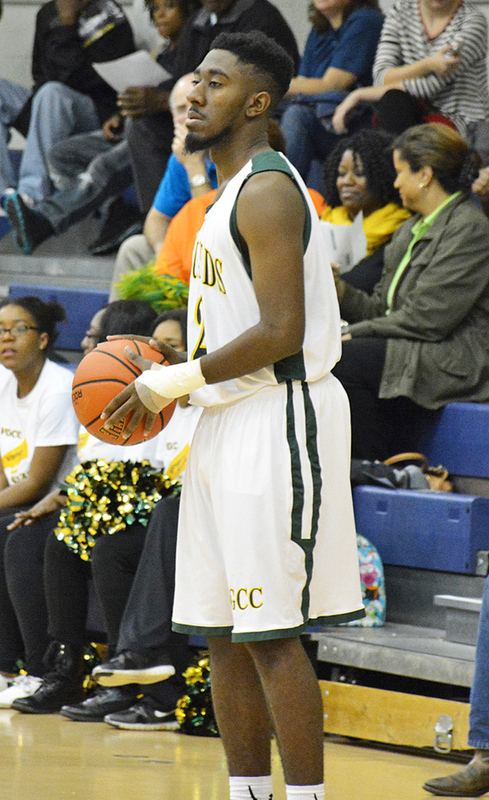 HENDERSON -- Vance-Granville Community College sophomore Tyrek Beverly of Oxford scored 23 points on Jan. 5 as the Vanguards men's basketball team faced the University of South Carolina-Salkehatchie. He and his teammates fought hard, but the visiting squad eked out a narrow win, 74-71, at Aycock Recreation Center in Henderson. As a freshman in 2014-15, Beverly was often the team's leading scorer, but at the beginning of this season, he was sidelined by an injury and only started to get back on the court in late November. 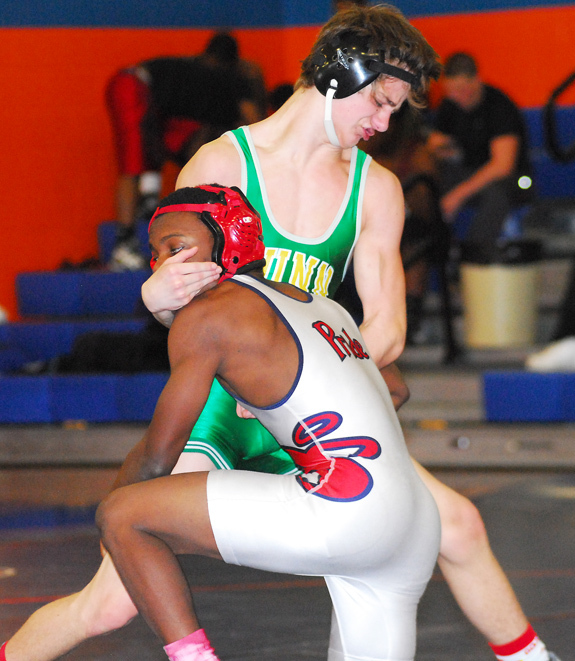 Bunn High School's James Geigel (top) takes down a Southern Wayne wrestler during last Saturday's Louisburg Duals Tournament. The Wildcats finished in first place overall. 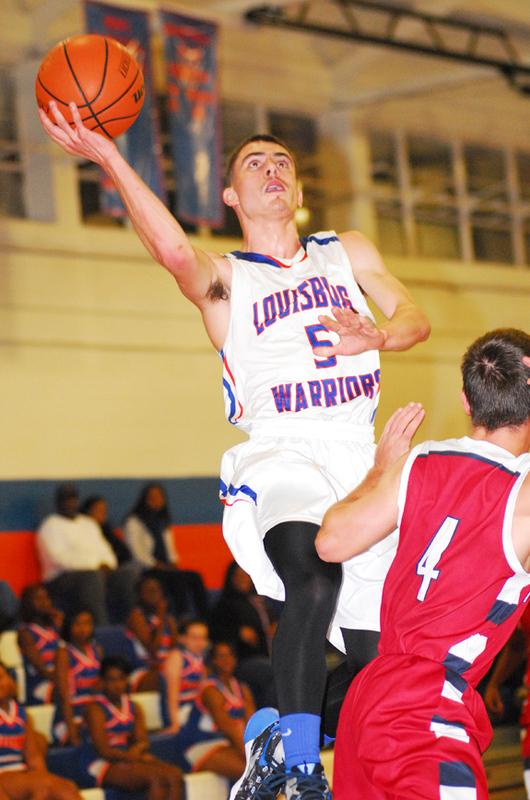 Guard Andreas Wilson topped the Louisburg Warriors in the scoring department during last week's hoops victories over Franklin Academy and Northwest Halifax at the LHS Gymnasium. Louisburg's Brandon Rodriguez (top) fashioned a 5-0 record as part of last Saturday's annual Louisburg Duals Wrestling Tournament at the LHS Gymnasium. Louisburg College's Daniel Delaware (left) won't be denied en route to scoring a basket during last Thursday's Region X road decision against the Pitt Community College Bulldogs. Louisburg College's Jamarcus Hairston drives for a basket during last Thursday night's road decision against the Pitt Community College Bulldogs in Winterville. The Franklin Times published an article on May 1, 1914, recounting the history and progress of Mapleville Academy, a flourishing private school in eastern Franklin County, located near the intersection of roads leading to Nashville and Spring Hope. The unnamed author emphasized the commitment of local farm families and religious leaders to providing good educational opportunities for local youth. It had been a long-term endeavor. The article states that Carswell Finch operated a school near Maple Springs Baptist Church prior to the Civil War. 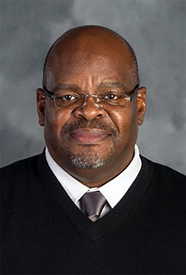 LOUISBURG -- The Franklin County Board of Education bid farewell to one of its top administrators Monday night • and learned that it will lose another this summer. 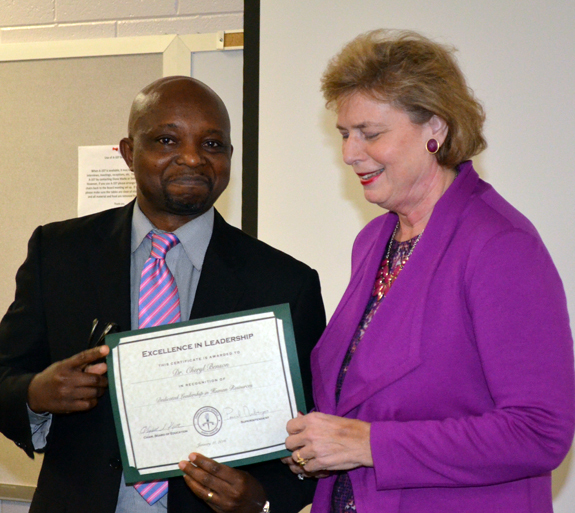 Dr. Cheryl Benson, assistant superintendent for human resources, is retiring at the end of the month and received a plaque honoring her service from School Superintendent Pascal Mubinga during the meeting. LOUISBURG -- A Franklinton man was ordered to spend four months in jail on charges that he led authorities on a high-speed chase that injured one officer and wrecked at least two police cars. The suspect, Christopher Burroughs, and his attorney intimated that police used excessive force in the arrest. Franklin County sheriff's deputies are investigating allegations of a sexual assault. A woman in her 20s reported during the early morning hours of Jan. 9 that she had gone to visit someone at their home in the Franklinton area and a person at the house sexually assaulted her. The assailant, the woman told authorities, is related to the person she went to visit. 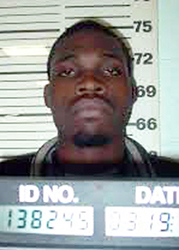 LOUISBURG -- A man who escaped conviction for a spring 2013 driveby shooting surrendered to authorities this week on charges that he shot and injured a Spring Hope woman last week. Deshawn Conyers, 21, was charged Wednesday with assault with a deadly weapon inflicting serious injury. He was placed in jail in lieu of a $55,000 bond. Conyers is slated to next appear in court on Feb. 22. 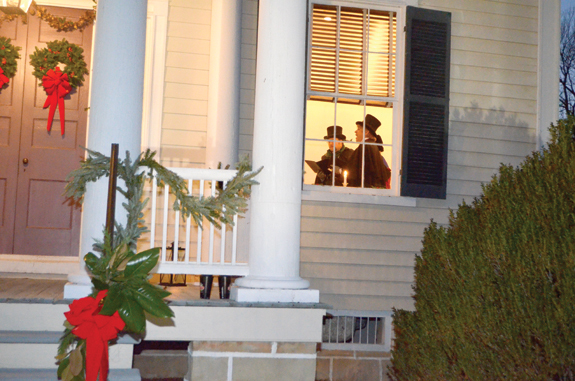 Louisburg police are looking for suspects who broke into a home and stole two guns. According to a report by Officer Ian Battle, a resident in the 100 block of Hill Place reported the afternoon of Jan. 8 that someone had broken into the home stealing a camouflage .308 rifle with a scope and a 12-gauge shotgun.